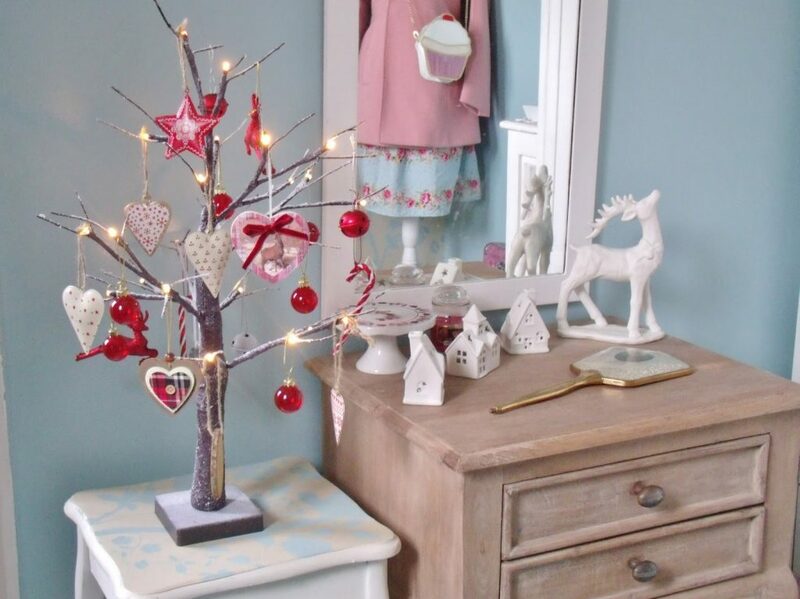 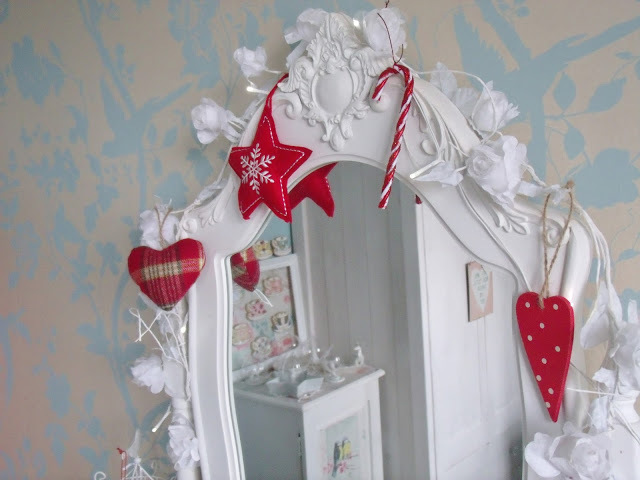 I always put up a few Christmas decorations around the room so I thought I’d do a little tour of my vintage dressing room before I take all the pretty festive bits down. 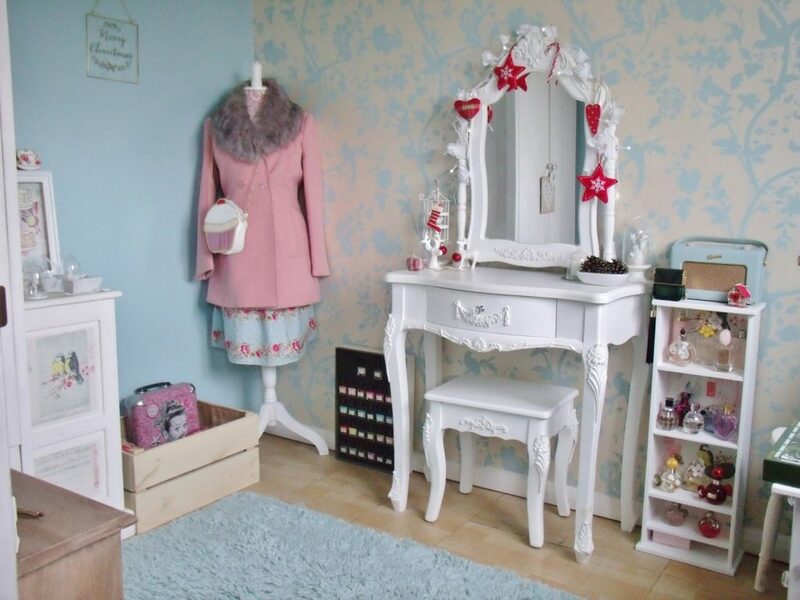 This room used to be the ‘spare room’ but my parents let me transform it into my own little dressing room a few years ago. 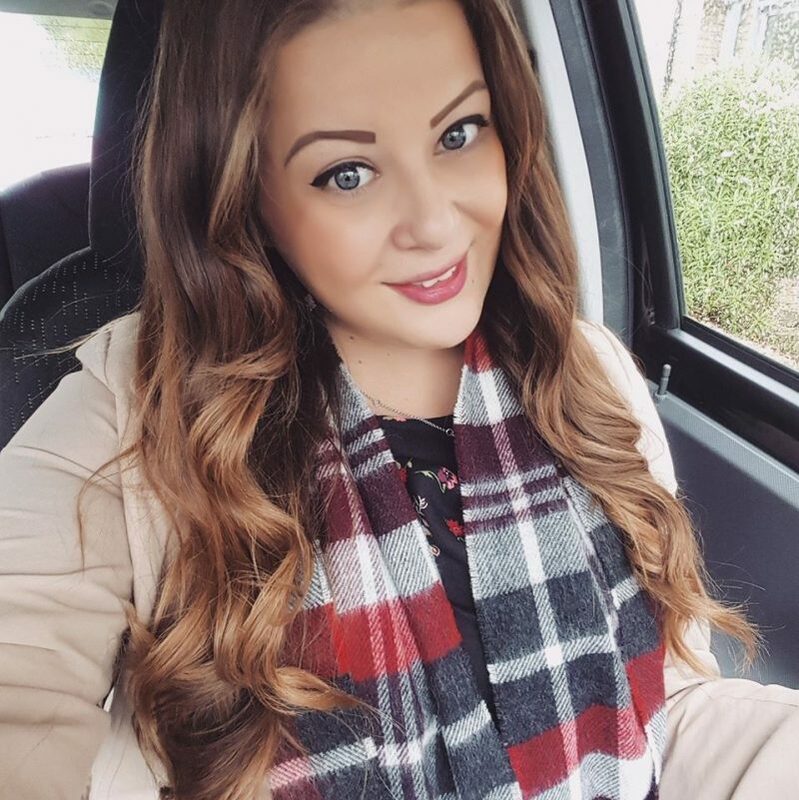 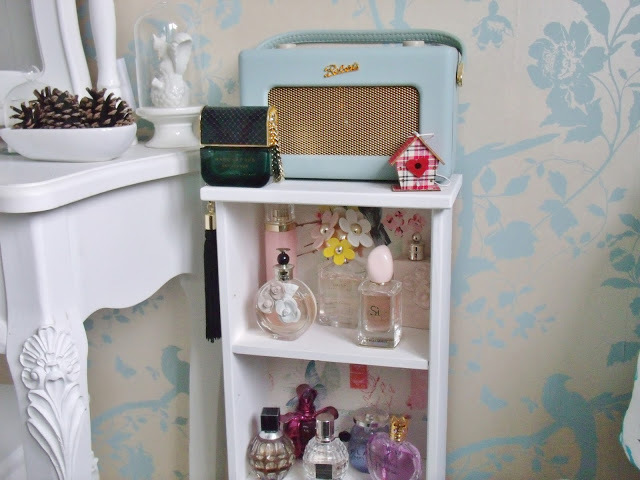 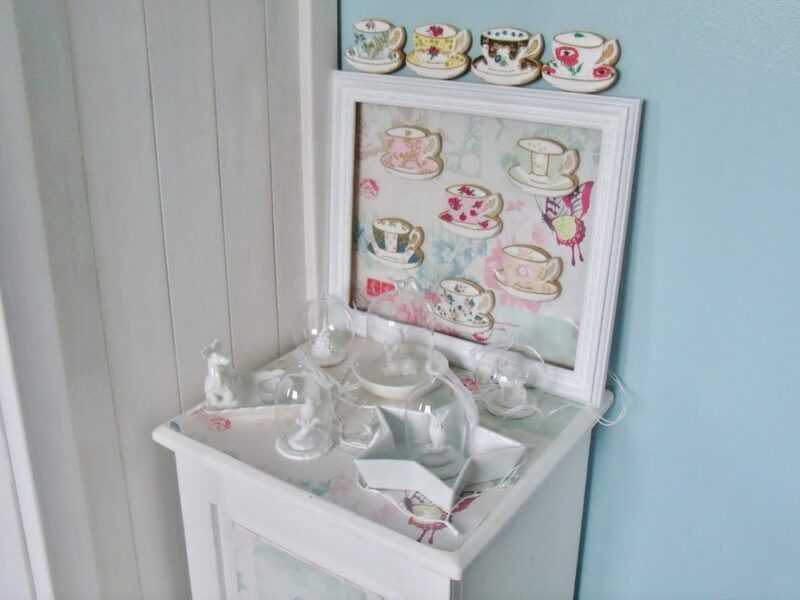 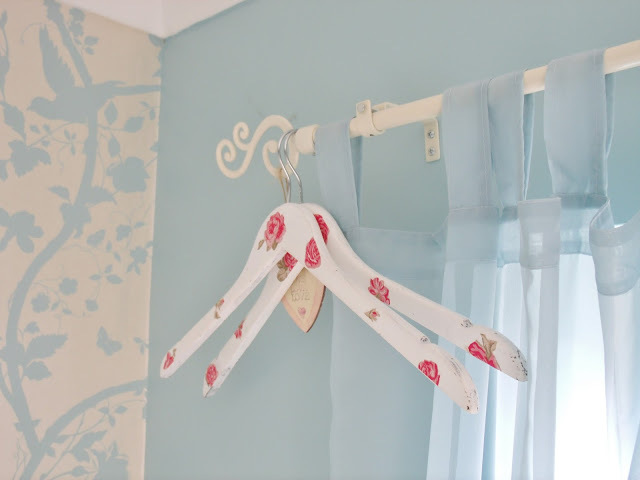 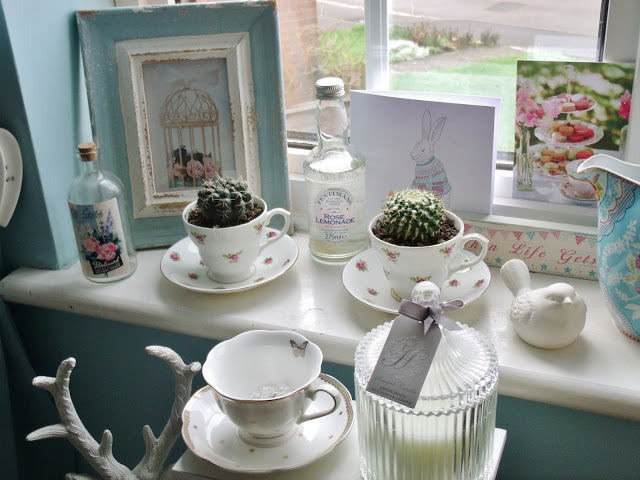 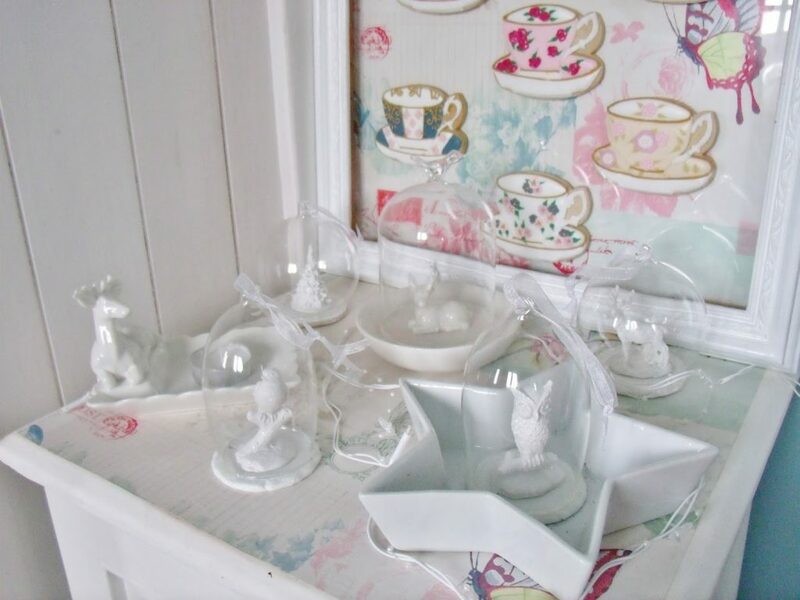 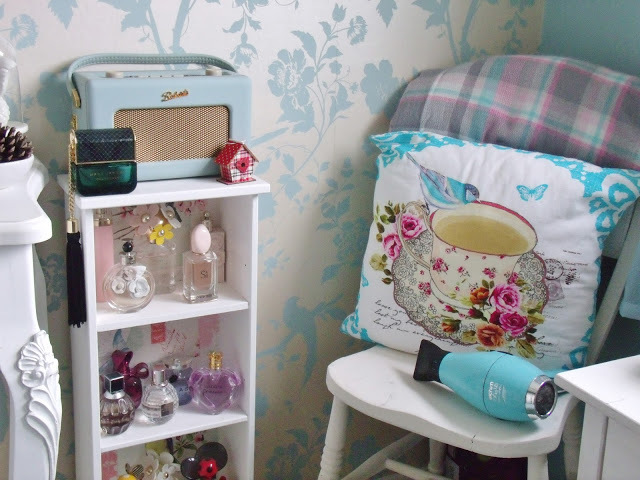 I decorated it using Laura Ashley wallpaper and picked out all the shabby chic furniture, and now I use it to store my pretty things and it has also become my ‘blog room’. 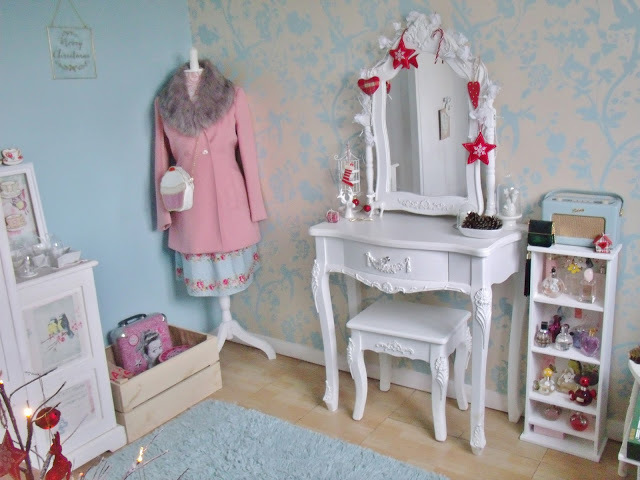 The main feature of the room is the eye catching dressing table which I’ve had for a while now. 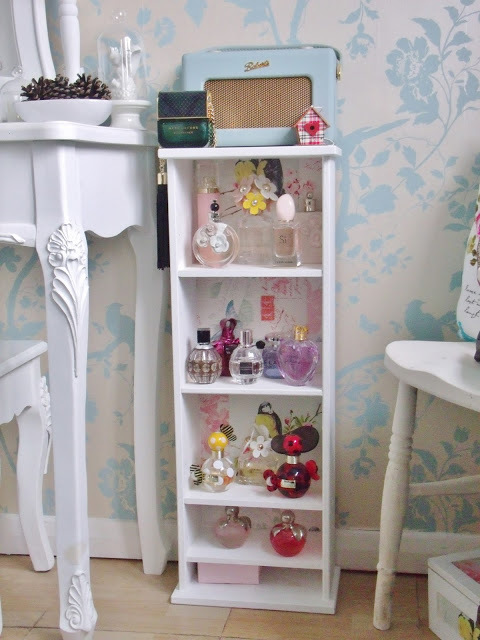 I love the French style and the pretty curved features. 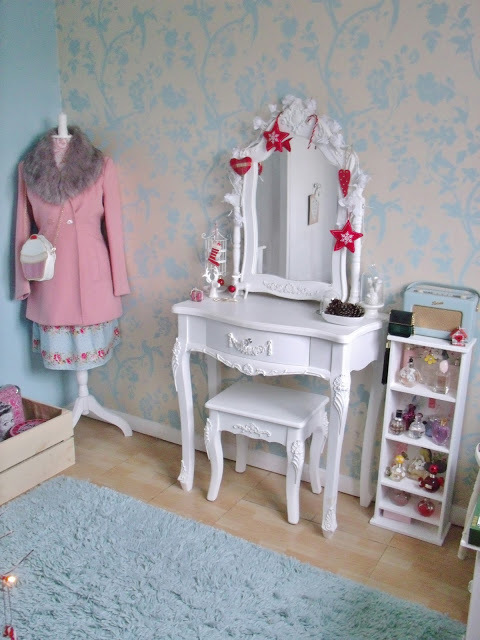 It has a deep desk drawer as well as a large swivel mirror which I have edged with a white rose garland and fairy lights. 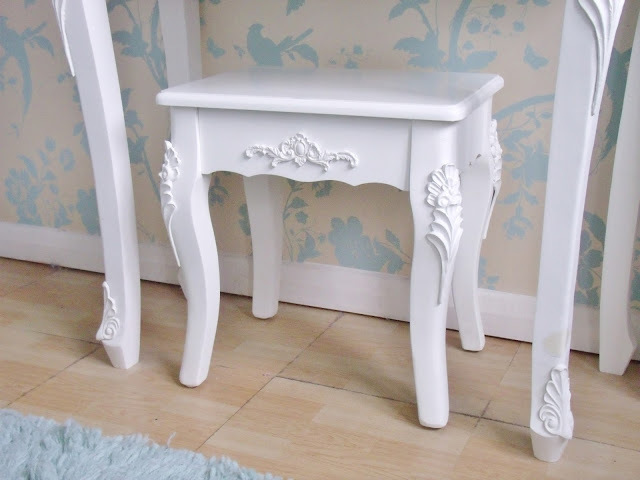 I also recently acquired the matching dressing table stool from Homes Direct 365 which finishes the room off beautifully. 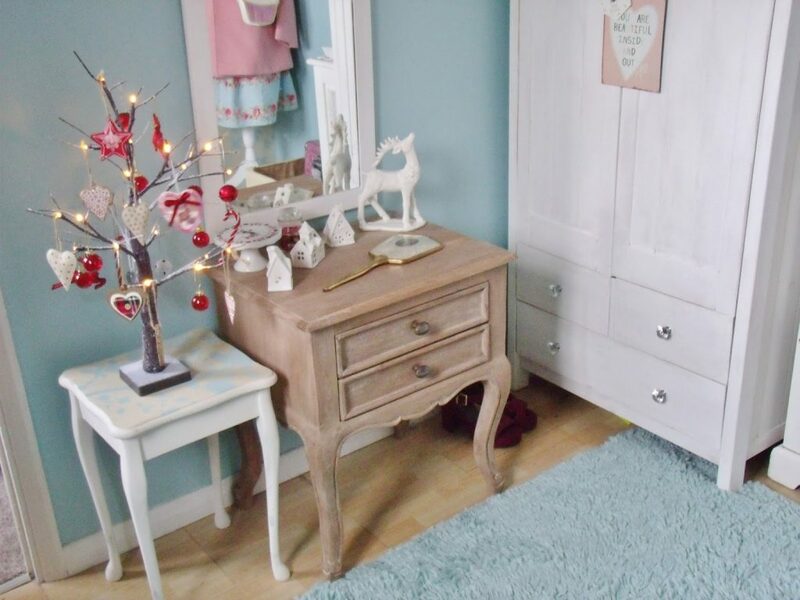 I keep wondering whether I should paint the brown drawers that I have, but the wood is so nice how it is, I feel like it would be a shame to cover it up! 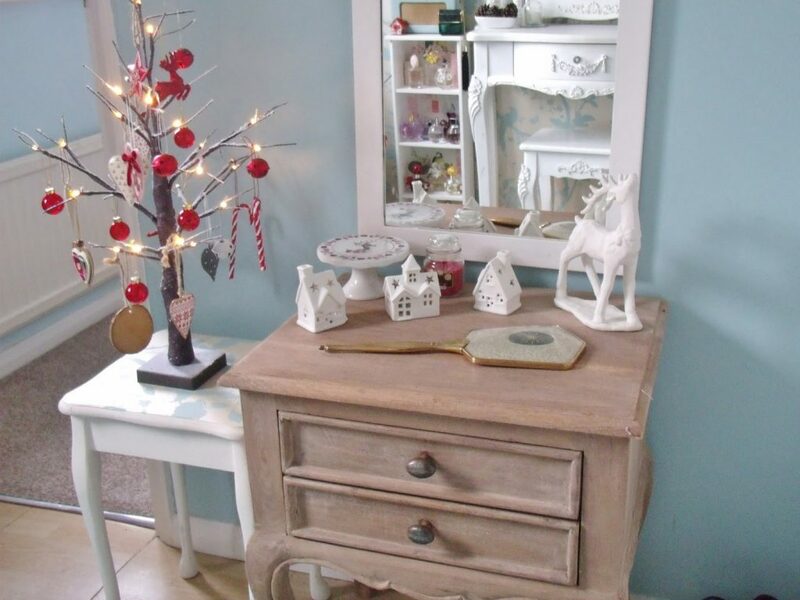 But it does look a little bit out of place because all of the other furniture in the room is white. 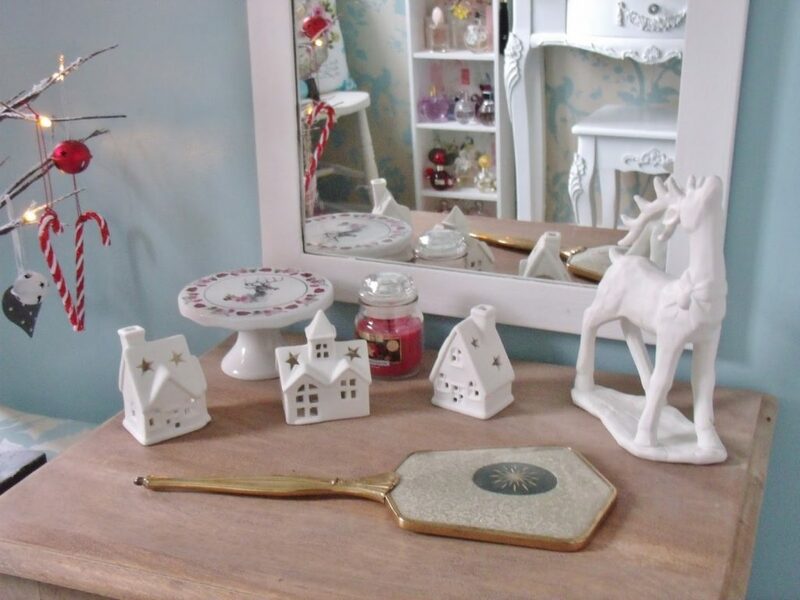 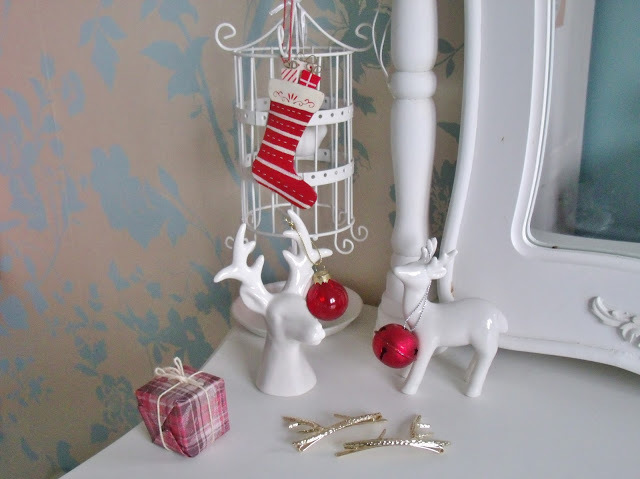 At the moment, on top of the drawers I have a few little Christmas ornaments including the little set of three houses and my new ceramic stag deer. 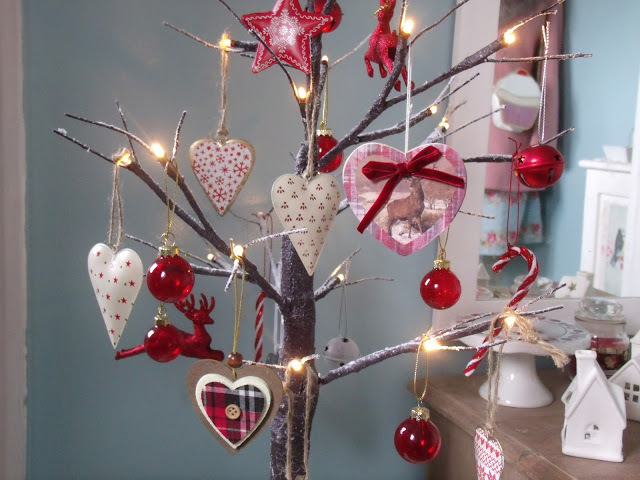 Next to this, I have my mini Christmas tree which lights up and I have decorated with some of my favourite little baubles. 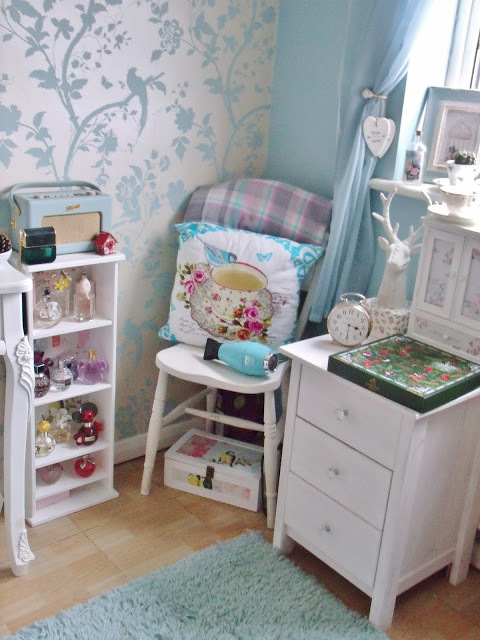 I hope you enjoy my dressing room tour! 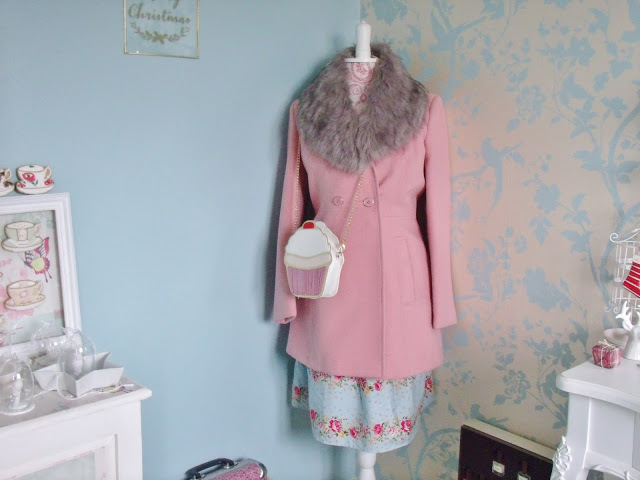 I hope you enjoyed my vintage dressing room tour!